In the latest How I Live, the cartoon-loving NTS resident talks bold parties and bolder hair colors. Siobhan Bell has been on an upward trajectory ever since she started DJing as a resident for east London club night Work It in 2010. Back then, both she and Work It were known for bringing a much-needed dose of fun, freedom, and '90s R&B to the city’s nightlife: in the years since, her repertoire has only become more colorful, weaving in bouncy Jersey club and trap beats. And speaking of colors, she’s also channelled her passion for standing out from the crowd into her brand Cherryade Hair, a line of dip-dyed hair extensions in bold summer hues—which shares a name with her occasional pop club night. When she’s not being tapped by brands like Moschino and Versus Versace or artists like Skepta and A$AP Mob to DJ their parties, Bell currently holds down two monthly NTS shows (one by herself, and one as part of the PDA collective), and is set to appear at festivals around the world this summer—not least, The FADER stage at Field Day this June. Not to mention, she's started branching out into producing her own beats; check her Soundcloud for bass-heavy edits of Destiny's Child and more. 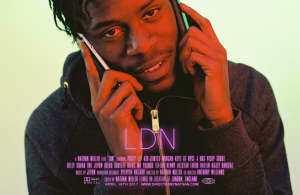 The FADER caught up with London's busiest young tastemaker on the phone to find out how she keeps her chill. SIOBHAN BELL: “I always wanted to work in music, but I wasn't sure of the roles and what you could do. I just looked at it as kind of a different world. I started interning at Atlantic Records (Asylum), and that was my first taste of being in the music industry. At the time Ed Sheeran had just been signed so I had the pleasure of seeing how his first album was put together, and also [working with] Charli XCX before she became a massive star. Then I took on a freelance project for Cash Money where I curated a London listening party for DJ Khaled's album Another One. My experiences [in the industry] have definitely contributed to where I am musically. “When I moved from uni to east London, I started partying and I met my group of friends—they were all DJs, so I started off at a night called Work It. I was DJing there; there was a collective of us. It was so different, it was so cool—you could wear trainers in the club. It wasn't really a party, it was more a family link-up. There were two main nights at that time, Work It and Livin' Proof, they were the spots to be at. A good party needs good DJs and lots of Hennessy, although I'm kind of a Ciroc boy now." "Starting Cherryade was a no brainer cause I wear color hair myself...People always think it's about being daring, [but] I just did it, and it worked. "I started [Cherryade the club night] about three years ago just for fun, in a club in Dalston called Alibi, real raw basement vibes. I started it as a pop night, just to hear Spice Girls in a club. Now I don't do it as often, but I use it [to give] new DJs or new artists coming up somewhere to play." “I’m quite boyish...That was always me, because I'm quite a small person and I like to look bigger. So I always wore baggy stuff, but now I’m a bit more stylish and wearing dresses. I got some Versace heels! 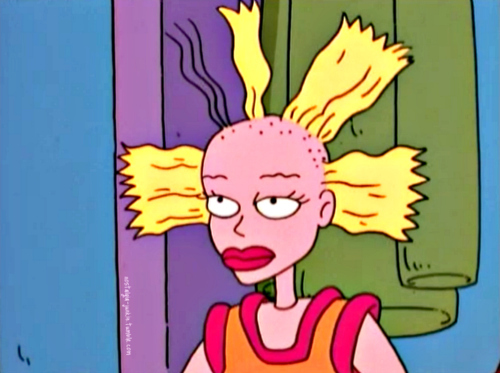 “One of my favourite tattoos is Cynthia, Angelica’s doll [from Rugrats]. I got her head on me. It’s my favourite cartoon, and Cynthia was quite the star of the show. I get tattoos based on a period of time, so there are some [that make me think], ‘Oh my god, what the heck was I thinking?’ But at that time, I knew why I got it. Siobhan Bell will DJ The FADER stage at this year's Field Day festival; get tickets here.